If you’re under 40 and single, there’s a world of exciting holidays waiting out there for you. 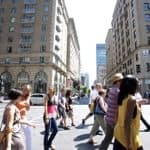 You might look at travel websites and brochures and see images of happy smiling couples and families, but there are also plenty of options for solo travellers, including specialist singles companies and mainstream tour operators that are simply popular with people travelling alone. Whether you’re looking for budget places to stay, small group tours to take you off the beaten track, an active adventure or a more luxurious beach break, there’s plenty out there. Here’s my pick of the best singles holidays for under-40s. From cycling to yoga to trekking through jungles, there’s an active holiday to suit everyone. One of the most popular activity holidays for solo under-40s is a safari in Africa. You could discover gorillas in the wild with Rainbow Tours in Uganda or an adventurous overland trip with Tucan Travel, whose groups normally include around 60% travelling alone. The East Africa Circuit also visits gorillas along with a more classic safari, while the Rwanda to Masai Mara adds some unusual experiences to the wildlife attractions. If you fancy some time to chill out as well, there’s a safari and beach alternative too. You needn’t venture quite as far off the beaten track to get active on holiday though. Inghams has trips exploring the lakes and mountains of Europe with no single supplement, so you could choose from Italian lakeside scenery or the peaks of Austria and Switzerland. In winter, they have ski breaks for solos as well, with no single supplement at resorts such as as Alpbach, Kitzbuhel and Lech, while Friendship Travel runs its own ski house parties for singles in the French resorts of Alpe D’Huez and Serre Chevalier. Explore the world on two wheels with cycling holidays for solos. 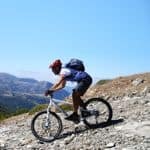 Saddle Skedaddle runs group trips in the UK and overseas, where you can choose from an easy leisurely pace or adrenaline thrills on a mountain bike. 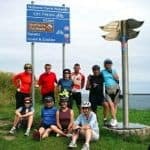 Or try a cycling holiday in Portugal, taking you from Lisbon to the Algarve, as well as the more challenging Spain and Portugal trip between Seville and Porto – achievement and sightseeing in one. You could hop into a rather different kind of saddle with a ranch holiday at one of 45 working and luxury horse ranches in seven states across the USA and in Canada with the Inspiring Travel Company. 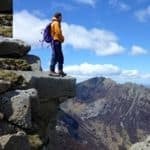 Or turn your back on dry land for an active holiday at sea – swimming, diving, sea kayaking (and the occasional cliff walk) with one of the informal cruises along Scotland’s coast from St Hilda Sea Adventures, with around six to eight people sailing on board. If your goal is getting into shape as well as discovering a new destination, these fitness breaks from The Healthy Holiday Company are ideal. And for an active break that’s as good for your mental as your physical health, try some yoga in an exotic location. Destination Yoga has trips in Ibiza, India and Thailand – you can even combine yoga with skiing in the Italian Dolomites. 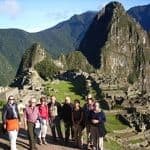 Small group tours are great for solo travellers, whether it’s part of a longer trip around the world or a standalone break, and several companies focus on the under-40s age group. 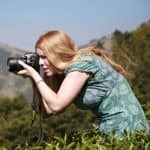 Most travellers with Solo Travellers are aged 30-50, and it’s the only UK company which specialises in group tours predominantly for solo travellers. There’s a wide range of destinations, including the chance to explore countries off the beaten track, such as the popular Highlights of Georgia and Armenia, or visiting three countries in five days, to Croatia, Montenegro and Bosnia and Herzegovina. 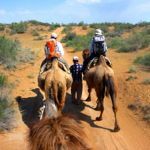 If you’d prefer a tour group with a wider age range, several companies run groups from 20 to 60 that are perfect for anyone looking for a taste of adventure. Discover the desert and ancient sites of Jordan with On the Go Tours for example – Trek Petra is a great active option or see the country’s main sites with the Passage to Petra tour. The company also has a string of tours in Thailand, if you’re travelling solo not to mention Sri Lanka and Egypt. 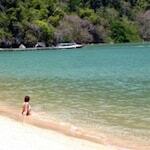 If Asia tops your list, InsideAsia Tours has some great solo-friendly group trips too. 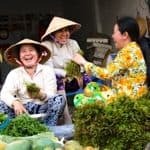 Highlights of Vietnam and Beautiful Burma are perfect for first-time visitors to these fascinating countries. And if you want to put the stresses of modern life completely behind you, how about joining a small group tour for an adventure in the spectacular mountains of Kyrgyzstan. 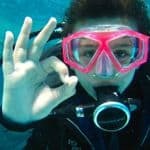 More tour operators are waking up to the ever growing numbers of solo travellers, so if you’re looking for a beach holiday, there’s a huge choice including long-haul and short-haul sun, all-inclusive, luxury and budget beach breaks – whether you want to be alone, or with a sociable group of likeminded people. Solos Holidays runs one and two-week breaks at its ClubSolos hotels on a string of Greek islands, including Crete, Corfu, Zakynthos and Santorini. Many are open to all ages, although they have occasional breaks for specific age groups, including an under-50s option, all exclusively for singles. And the Mistral Hotel in Crete is also exclusively for guests travelling alone. Expect a mix of ages from 20 to 70, with pool, beach, activities and the chance to explore the island. For more hotels with no single supplement worldwide, Mercury Holidays has three and four-star winter sun, as well as tropical island destinations including Bali, Mauritius and Sri Lanka, many with all-inclusive options. You can also visit Cuba on a singles-only beach holiday with Friendship Travel – most of those who travel with the company are aged 35-65, although the holidays are open to 25+. The Indian Ocean needn’t be the preserve of couples either. 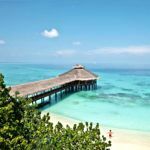 In Kenya, there’s no single supplement at Turtle Bay Beach Club with Tropical Sky, while Barefoot Traveller has an exclusive single rate at Bandos Island Resort in the Maldives from May to October, just £1,495. Or head over to the Caribbean, where the adults-only Breathless Punta Cana resort in the Dominican Republic promises a party atmosphere, as well as a very low single supplement and plenty for solo travellers. For something more low-key, The BodyHoliday in St Lucia has dedicated single rooms. no single supplements and the option of sociable communal dining. You can mix your spa escape with some added pampering in Asia too – the luxurious Absolute Sanctuary Detox on Koh Samui has tailored detox retreats with in:spa retreats. 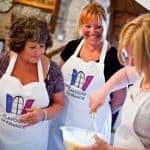 From photography and painting to cookery and languages, you’re certainly never too old to learn something new. And while you’ll find a wide range of ages on most learning trips, you’re sure to have at least one interest in common. If you’re looking to learn some life skills, Skyros has weekend breaks in Greece, focusing on personal development, with sightseeing between the life coaching, as well as special creative writing options. Or there are a variety of courses on offer at Cortijo Romero, open to all ages, ranging from yoga, tai chi and dance to mindfulness, stress reduction and singing. See all the courses.